The day is here, my friends! We made it! Happy Halloween, Happy Samhain, and (slightly early) Happy Día de los Muertos! Thank you for joining me in my month-long holiday celebration. I truly hope you've enjoyed it. I have! To those of you who have shared goodies with me through email or snailmail or other means, thank you so very much for making the holiday extra-special for me!!! Everyone, please stop by, grab a virtual latte or cider or hot cocoa, a candied apple or some roasted pumpkin seeds, or even a goblet of blood and a plate of brains, and say hello! Now for the grand finale. What can I say? This is my favorite for every Halloween. 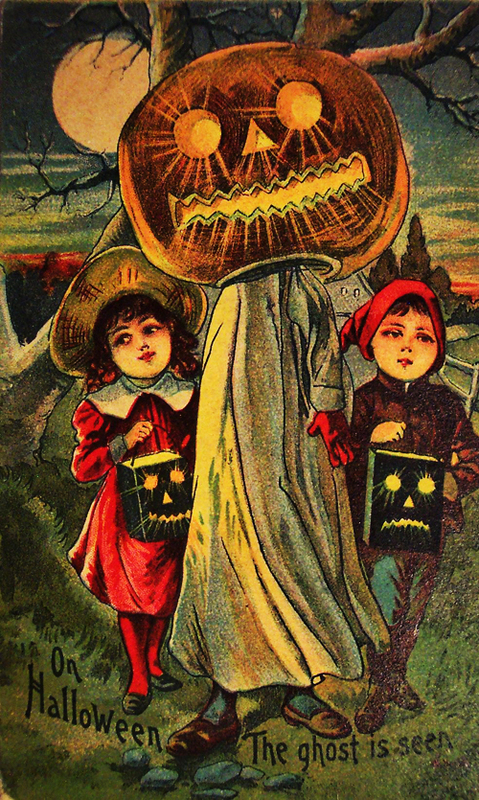 I hope you enjoy "Hallowe'en in a Suburb" by H.P. Lovecraft (1890-1937). A perfect and crowning jewel (blood-ruby perhaps?) to your horror-salute. What a project and what a triumph of terror! Thank *you*, my friend, for making my October so special. 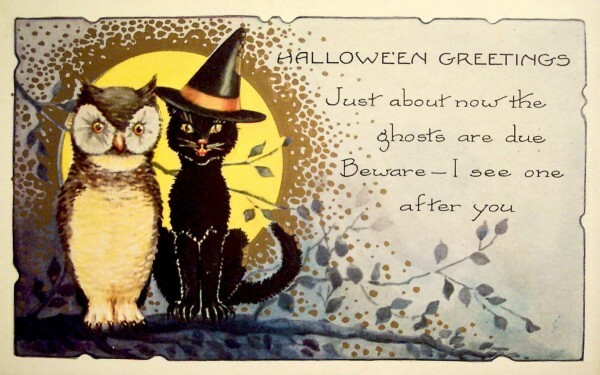 I hope you had a glorious Halloween! Thank *you*! I hope you had a fantastic Halloween! Thank you so much for making October wonderful (in multiple senses of the word) again! Can't tell you how much I appreciate it, and I know I am not alone in that. Now I have to get ready for the Nov. 1 withdrawal symptoms. Thank *you* for sharing the month with me! I hope your November is off to a terrific start. I love that poem! And not just because Lovecraft wrote it. Thanks for the 31 wonderful posts! I hope you had a fantastic Halloween. Thank you for the journey! Always enjoyable. Happy Halloween! My pleasure! Thank *you*! I hope you had a spooktacular Halloween. Thank you for the wonderful Halloween Countdown! I enjoyed every day of it! It's one of my favorite parts of October! And a perfect ending with Lovecraft! Happy Halloween!!! Thanks for the wild ride! 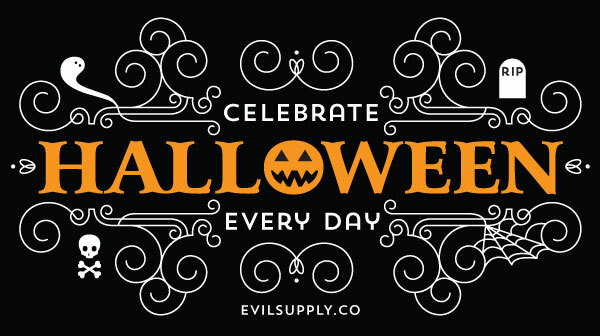 Enjoy Halloween! Thank *you*! I hope you had a grand one! Thanks for another great month of October posts! I love the dark hope in the last 2 stanzas of that poem, don't you? Two things to remember if you participate in one of those trunk-or-treating events. First, do not use a windowless van. Second, do not dress as a clown. Ha! So true. And don't go with those who do! As always, thank you again for doing this. I wasn't able to follow as closely as usual (real life went crazy this month), but it was a wonderful treat last night to go through the posts and wallow in Halloween goodness! Oh, it was my pleasure! I'm so glad you enjoyed the post. I hope you had a splendid Halloween.